AMD’s Radeon HD7790 is fast becoming a popular option for gamers overseas and is selling well. Many manufacturers have begun to offer their own selection of reference and overclocked versions of the new GPU and PowerColor’s version is really attractive. 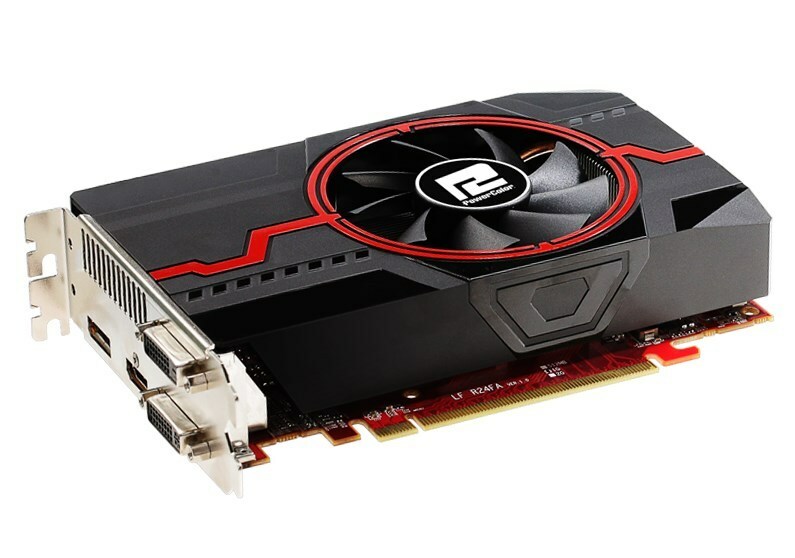 With the launch of AMD’s new “Bonaire” GPU well under way many manufacturers are coming out with their own versions of the Radeon HD7790. PowerColor already has a reference and an overclocked version sporting dual 80mm fans. The company has now also released the HD7790 OC V2, a shorter version that fits in between their current lineup. The OC V2 is barely longer than a PCI-Express slot and comes with a dual-slot cooler serviced by a single 70mm fan. It sports one single-link and one dual-link DVI port, along with a full-sized HDMI and Displayport output. The HD7790 OC V2 comes with 1GB of DDR5 RAM on a 128-bit bus. Core clock speeds are now at 1030MHz with memory clocks staying at the reference 1500MHz (6GHz effective) for the HD7790. In terms of performance it’s about 20% faster than a regular Radeon HD7770 and is the market replacement for the HD7850 1GB, which has now been discontinued by AMD. PowerColor hasn’t revealed pricing or local availability for the HD7790 OC V2 as of this writing. Bonaire is AMD’s new GPU designed to fit in between the stalwart HD7770 and the mid-range HD7850 2GB. It appears to be cheaper for AMD to build and ship and there is speculation that this is the same GPU that will be in the Playstation 4.